One of my favourite experiences had to be the speciality tofu eateries. 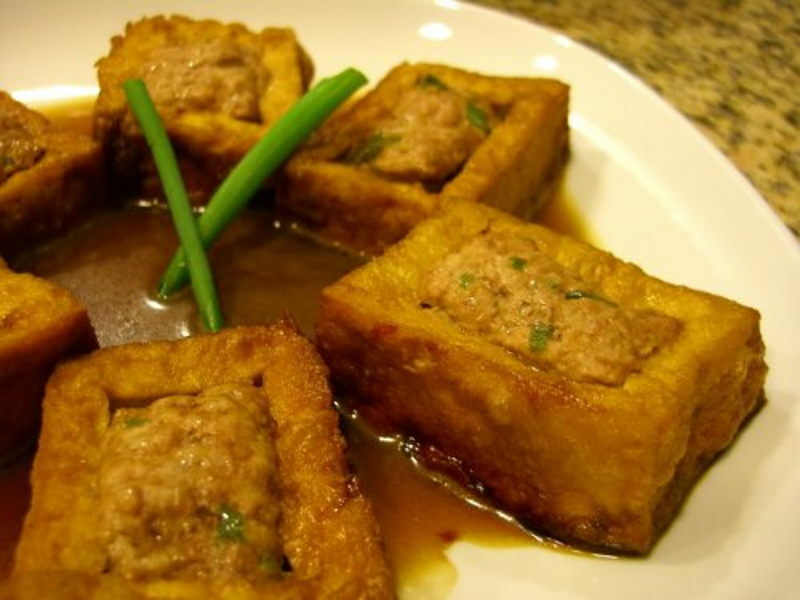 We headed to Causeway Bay to try a great local dish: stuffed tofu. I helped myself to a plate of warm, slightly crisped tofu, stuffed with minced seafood and washed it down with warm soya milk, flavoured with fresh ginger. It's light, but so tasty and apparently easy to make according to Jeremy.